The year is 1852. Franklin Pierce of New Hampshire has just become the 14th president of the United States. California is a newly minted addition of the American Union, its Sierra foothills teeming with wild-eyed fortune seekers clawing at a purported cache of inexhaustible gold bullion. 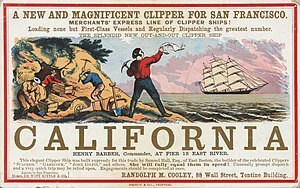 In the northern valleys of Napa and Sonoma, waves of able-bodied laborers smitten by gold fever join the exodus. The first permanent road running from Calistoga to Napa is carved out of the loam, clay and volcanic soils of the eastern edge of the valley. Six years on, a quicksilver discovery gives rise to Silverado City at the southeastern corner of mount Saint Helena. The mine’s ore is transported to San Pablo bay along what comes to be known as the Silverado Trail. John Patchett, an industrious English immigrant enlists Charles Krug, a young Prussian, to craft wine from a cider press and commercial winemaking in the Napa valley is born! 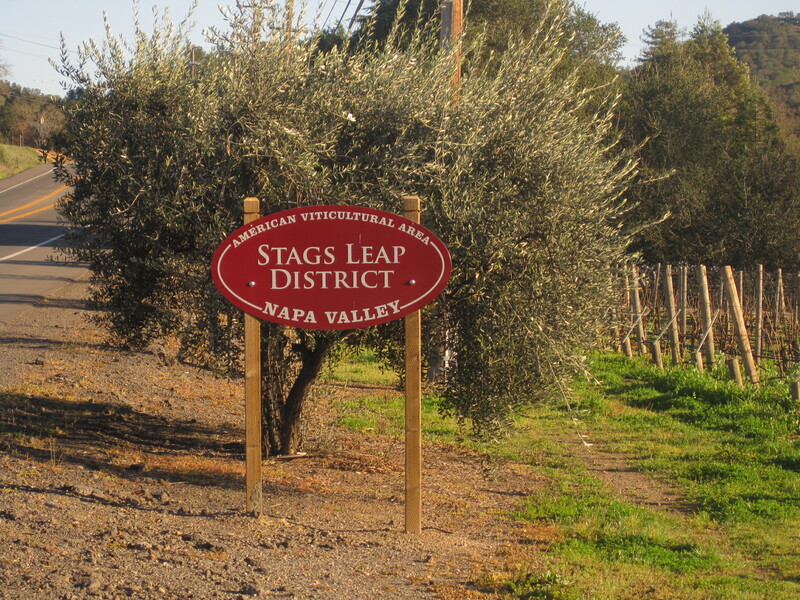 Fast forward to Napa’s bustling Stags Leap district of today – the first American Viticultural Area (AVA) to be officially recognized as unique in 1989; its stylish domains span the historic Silverado Trail crafting some of the most elegant and seductive wines produced anywhere in the world. Names like Pine Ridge, Stags Leap Wine Cellars, Shafer and Chimney Rock anchor a magnificent assemblage of vintners presiding over some of the finest terroir California has to offer. The district stretches three miles from north to south, is just a mile wide and covers 2,700 acres – half of which are under vine. Its unique topography, geography and soil types begin with the Stags Leap Palisades. This rugged, volcanic outcropping reflects heat across the vineyards by day warming the district in a more accelerated fashion than other zones in the valley while cool, marine winds wash over the region at night. This diurnal swing in temperatures affords the district’s iconic Cabernet Sauvignon ideal conditions to develop structurally critical acidity while fostering a longer growing season for the optimum ripening of this later-maturing variety. California, like many New World wine regions, has more latitude when it comes to laws governing viticulture and vinification. Any wine that is varietally labeled however must contain a minimum of 75% of that variety. In addition, to carry a specific AVA designation 85% of the fruit must be sourced within the boundaries of the AVA. Little more is stipulated. 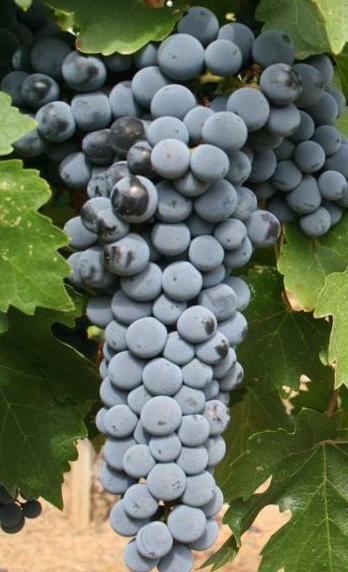 Unlike the wine laws of many European countries, those of the US do not designate the type of grapes allowed, the method of vinification, yields or minimal alcohol levels for example; growing and stylistic decisions are left to each house’s discretion. Recently, the Stags Leap District Winegrowers hosted the Stags Leap District Bar & Lounge gala – an exclusive, showcase affair at Pine Ridge cellars. As I pulled onto the grounds in the early evening hours, a flood of golden sunlight washed over the perfectly manicured vineyards setting a luxurious backdrop for the night’s gathering. Inside, the winery’s caves were transformed into an upscale lounge where diffused, orange light accentuated half-moon shaped tables adorned with the district’s coveted wines. The pulsing grooves of spinning vinyl echoed throughout and unique barrel lots for Premiere Napa Valley took center stage! Universally, the wines showed the poise and refinement I expect from this AVA. There was not a single entry that failed to capture the finesse and stylishness of the district’s identity. That said, I was truly struck by the harmony of the 2008 vintage wines that were present. Here are some of my impressions. The Baldacci Family Vineyards 2008 Black Label Cabernet Sauvignon exhibited lovely aromatics of black cherry and dark chocolate laced with notes of cedar and eucalyptus. The oak was nuanced and beautifully integrated. The wine was nicely textured offering good weight, precision, balance and refined tannins. The 2008 Chimney Rock Ganymede Vineyard Cabernet Sauvignon was very elegant with a compelling medley of black cherry, cola, red licorice whip and exotic aromatics reminiscent of sandalwood. The wine achieved exact balance between bright acidity, polished tannins, appealing mouth feel and lush berry fruit that made for a lingering and complex finish. From Shafer Vineyards I tasted the 2009 One Point Five Cabernet Sauvignon that offered complex aromatics of curry, black olives, black cherry, pencil shavings and soft cedar along with lovely, rocky minerality. It was a dense and textured wine of nice persistence showing riper and somewhat headier fruit characteristics than the 2008s being presented. Two wines from Pine Ridge, the 2008 Cabernet Sauvignon, SLD and the 2010 5×5 were standouts. The first was loaded with lush black currants, stony mineral notes, aromatic hints of soft mocha and Nicoise olives. The fruit was intense on the palate and was woven around refreshing acidity and elegant tannins. The wine showed great precision and focus. The single-barrel 2010 Pine Ridge 5×5 offering was a pronounced expression of the pedigree of this district. It is a blend of the five major Bordeaux varieties of Cabernet Sauvignon, Merlot, Cabernet Franc, Malbec and Petit Verdot and is a truly impressive and beautiful wine! Subtle notes of cedar mingle with earthy black olives and a stony, mineral aromatic profile in tandem with opulent black cherry, ripe currant and lusciously enticing dark chocolate that make this a highly seductive effort. The wine is richly textured, seamless and finishes with power and great presence. As I pulled away from Pine Ridge heading south along the Silverado Trail I was once again reminded by way of this tasting how dramatically California vintners have pushed upwards to the pinnacle of the world’s great wine pyramid in just over 100 years! When in 1976, at the now famous Judgement of Paris, the earth-shaking news emerged that Warren Winiarski’s 1973 Stags Leap Cabernet Sauvignon had been victorious over some of the grandest properties of France, great tremors rippled throughout the world of wine from the Champs-Elysees to the Golden Gate and beyond. The Scottish raconteur would surely be proud! « All You Need is Love – and Bubbles! A note on the site links: Is there any way to make links auto open a new page rather than opening over your blog? Thanks for all the great words and loyal reads. For the links I’m unclear – did u click on the Stags leap photo? This is a static copied image. The others seem to be working just fine. Let me know.